Let's do these in reverse order lest you think the shrug in the post title is that act expressing doubt or indifference. No way! The shrug I'm talking about is that article of clothing that's halfway between a shawl and a cardigan, almost a knitted bolero. 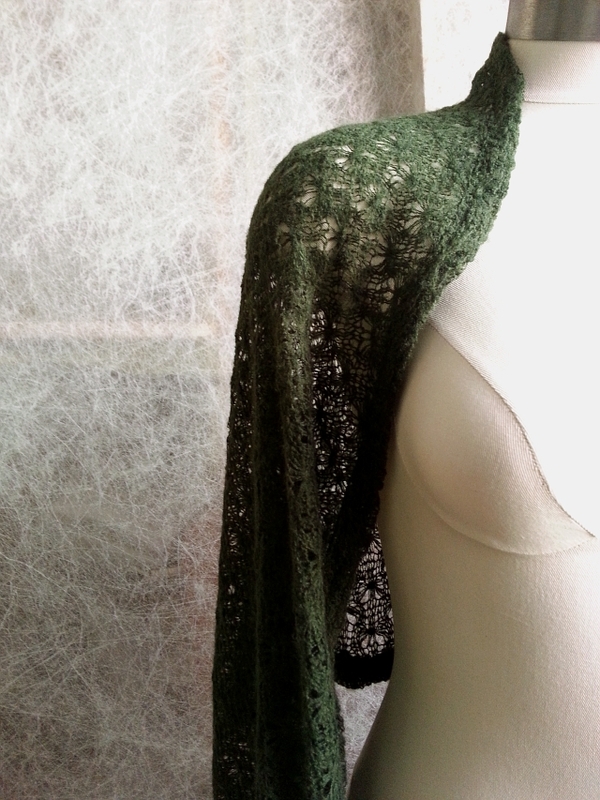 Of course, I cut and sewed mine from a lacy sweater knit fabric. I made it longer and looser than the iconic shrug. In fact, I'm calling mine a shrug cardigan. Here's a peek -- more pics another time. And speaking of workshops in New York City... Brooklyn sewing studio Workroom Social is crossing the East River for a weekend pop-up full of "fashion sewing workshops, fabrics, and fun!" And it's this weekend!! Some of your favorite New York City sewing bloggers will be teaching at the pop-up this coming Saturday: Fleur Hoare, Sonja of Ginger Makes, Oona of Oonaballoona from Kalkatroona. Jennifer Wiese, Workroom Social owner, will be hosting the "Sit & Sew" on Friday and Sunday. Saturday night is the Sewing Swap Meet & Party at Workroom Social's Manhattan pop-up! (Click on the pic above for details.) Proceeds from the party will go to Rational Animal, a non-profit that helps at-risk animals in the NYC area. I'm excited to meet in person some of my good tweeps and instapals at the party. Will I see you there? YEEEEAH i'm so excited you're coming! this is shaping up to be the party of the year! O! Yes! Party of the year!!! It was so great to meet you last night! And somehow magically your swatches ended up in my purse, I'm so thilled! Carolyn, so great meeting you! And I'm glad the fabric is going to a good home! Nice meeting you! Very excited about your sweater knit class. I will definitely be on the lookout for that!